3 times British Champion, twice a World Championship Candidate and at my peak in the top ten (4th in January 1989). I've twice been a second at a world championship match - for Nigel Short and Viswanathan Anand at their matches v Garry Kasparov in London 1993 and New York 1995. And recently became a FIDE Senior Trainer when I captained the England Women's team at the European Team Championship in Reykjavik. I specialise in analysing players' own games with them or working on typical middlegames and endgames. If you're set on snappy opening analysis, I'll have ideas about any position but you may want to look elsewhere for a specialist. $75 per hour or $120 for a two hour session or two one hour sessions per week. 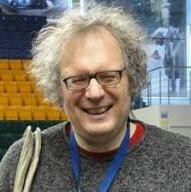 Jon Speelman 3 times British Champion, twice a World Championship Candidate and at my peak in the top ten (4th in January 1989). I've twice been a second at a world championship match - for Nigel Short and Viswanathan Anand at their matches v Garry Kasparov in London 1993 and New York 1995. And recently became a FIDE Senior Trainer when I captained the England Women's team at the European Team Championship in Reykjavik. I specialise in analysing players' own games with them or working on typical middlegames and endgames. If you're set on snappy opening analysis, I'll have ideas about any position but you may want to look elsewhere for a specialist. $75 per hour or $120 for a two hour session or two one hour sessions per week.